Bristol might be one of the most harmonious small towns you'll ever visit. With an abundance of spectacular homes and gardens, this little hard to get to town is now a magnet for destination weddings. 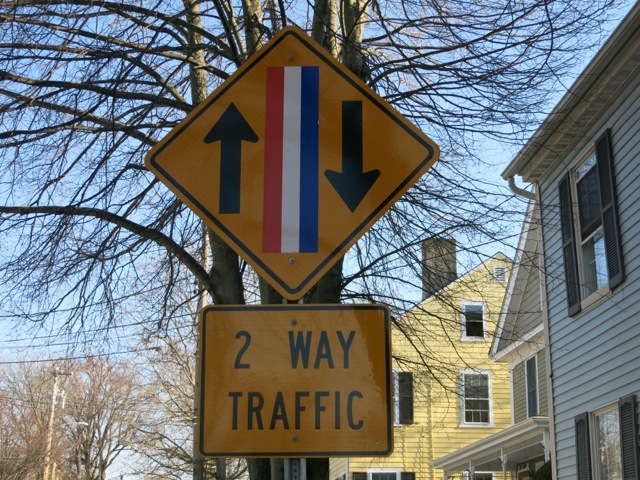 It is very possible that the first American Thanksgiving -- you know, the one with the Native Americans -- was held right here in Bristol, RI, a small Narragansett Bay town initially built on riches reaped from the slave trade. But Bristol is most famous for hosting the "Oldest Continuous 4th of July Parade" in the country (229th in 2014), and though it's tough to get to -- "a peninsula on another peninsula," one resident explained -- locals are refreshingly and astonishingly friendly. Despite such a dark past, Bristol might be one of the most harmonious small towns you'll ever visit. With an abundance of spectacular homes and gardens, this little hard to get to town is now a magnet for destination weddings. Mt. Hope Farm and B&B. For those who study American history from the landing of the Mayflower on, this place has a bit more authenticity than the dubious "Plymouth Rock." What became Mount Hope was the summer camp of the Pokanoket Tribe of the Wampanoag Nation -- the same tribe that greeted the Mayflower in Plymouth in 1620 -- so it is likely that the first "Thanksgiving Feast" was held on this property. Pokanoket leader Metacomet, better known as "King Philip," held his tribal meetings here in the 1660s -1670s, and it's where he met his demise in 1676 in what was called King Phillip's War. The family (of Brown University and beer fame) lived here from 1908 until the 1980's when the home and property became a non-profit working farm and B&B. 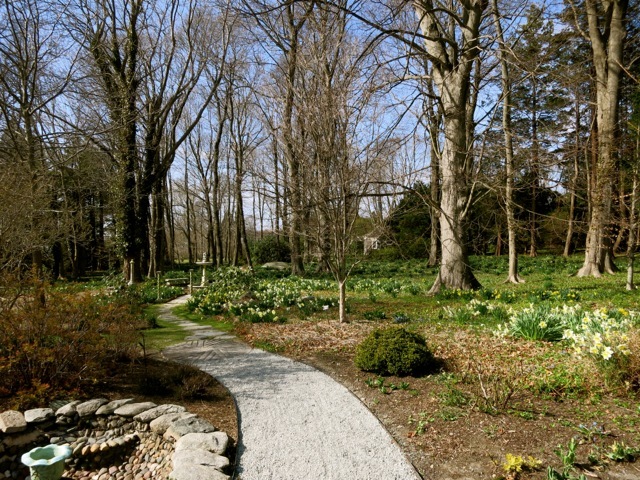 Come to walk the paths that wind by sheep, hens and goats, around two ponds, along Narragansett Bay and through woodlands and fields. Or munch on a peppery flower inside LeeAnn Freitas' greenhouse. 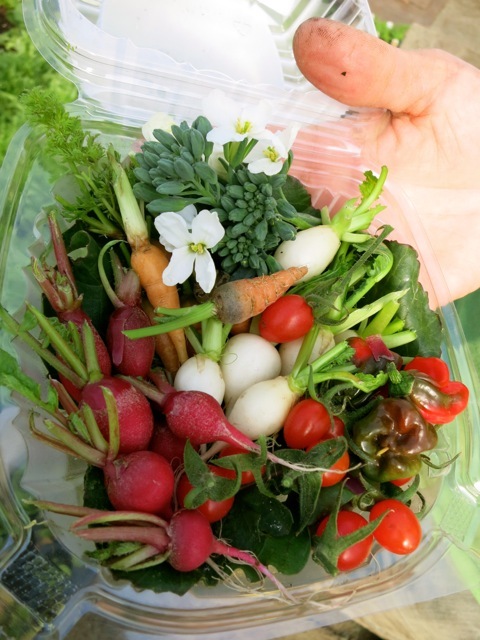 Lee Ann is the sole owner of Indie Growers, which supplies the most colorful, healthful, fresh-grown edible plants to the best restaurants in New England. She's got New Zealand Spinach, Nasturtium, and Pineapple Sage. "Why throw out the flowers on cabbage blossom?" And when it comes to weeds? "If you can beat 'em, eat 'em." Stop in to say hi -- and you may get a taste. Coggeshall Farm and Living History Museum. Visit this former tenant farm on 48 salt marsh set acres and pitch in! With the help of costumed docents, Coggeshall Farm recreates the life of a 1790 tenant farmer who kept "heritage breeds" livestock: Prevalent 200 years ago, these chickens and cows are smart enough to forage their own food and protect themselves from predators. 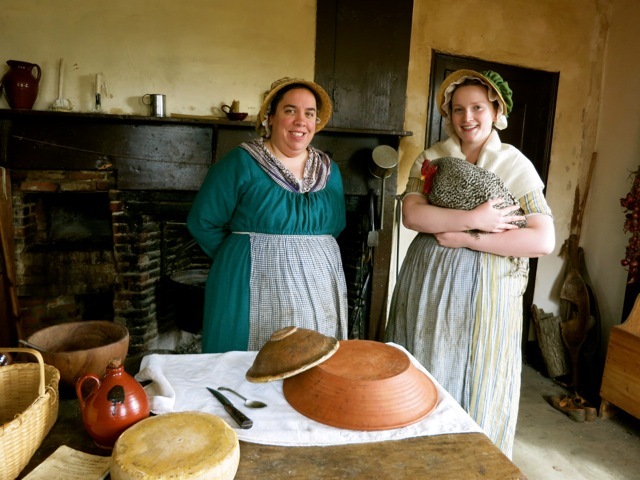 Come to see how the majority of people lived at the end of the 18th century. As opposed to a study of some wealthy, well-known family, Coggeshall Farm represents the "Lifestyles of the Poor And Anonymous." Linden Place. 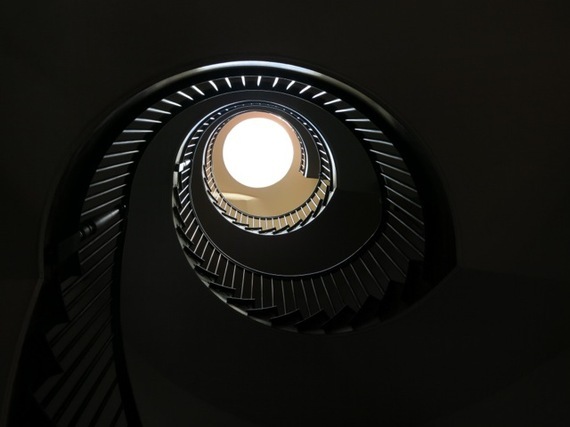 Slave traders, gun-makers, Hollywood stars: There are few existing buildings in the country that tell the story of the American Dream or, in this case, Nightmare, as well as Linden Place. 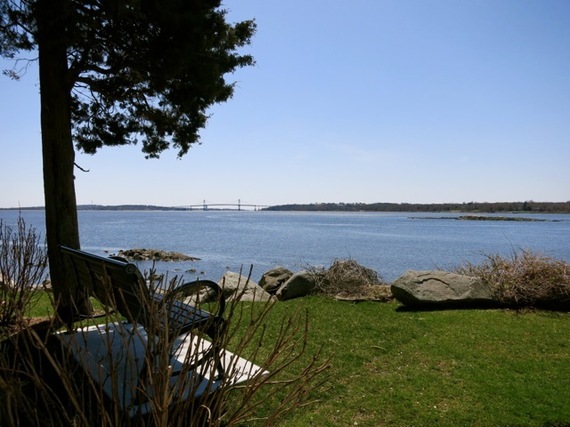 When the sea was the "global highway" and Bristol a primary port, the original owner of Linden Place, George deWolf, made his fortune in the "Triangle Trade." Controlling all aspects of the trade, DeWolf turned the sugar and molasses from his Cuban plantations into rum in his Bristol distillery, and then transported rum to Africa on his fleet of ships, which were loaded with slaves for the return trip to the West Indies. Conducting business far beyond the time when slave-trading was outlawed in 1808 by bribing dock officials, DeWolf managed to gain great wealth, then loose it, when his sugar crops failed in 1825, swindling most of the townspeople who had invested with him in the process. DeWolf left under cover of snow and night, with the mansion passing to several other DeWolf's including daughter Theodora, who had married the gun-maker's brother, Christopher Colt. (Sam Colt invented the first revolver, the Colt 45). When Ethel Barrymore (sister of John and Lionel), married Russell Colt, she brought a bit of Hollywood glitz to Bristol while spending summers here. 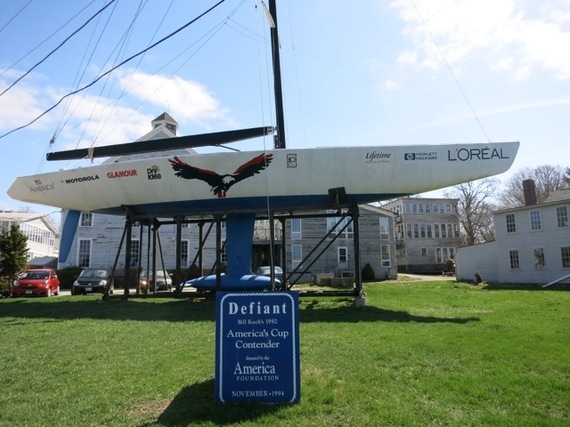 Herreshoff Marine Museum and America's Cup Hall of Fame. This unassuming museum is nirvana for anyone the least bit interested in competitive yachting and entrepreneurial boat building. Nathanael Herreshoff and his blind brother John Brown established their innovative boat building facility right here on Narragansett Bay. In its heyday in the mid 1800's to early 1900's, Herreshoff employed 300 artisans, built eight victorious America's Cup boats (from 1893-1934), six of which were designed by Nathanael. With all 535 boat design models and a vast collection of actual boats, this museum is homage to both Herreshoff and the people involved with America's Cup who typically stay well below the radar: boat owners, designers, builders, and those who chronicle the races. Blithewold Mansion, Gardens and Arboretum. Enjoy a traditional afternoon tea on china in the Downton Abbey-like dining room of this 1908 mansion on the bay, and then plan to take a self-guided tour the rest of the house. Most people come to enjoy a concert on the stunning property (Yankee Magazine named Blithewold one of New England's Five Best Gardens), and don't even know that the home, built in 1908 by Pennsyvania coal tycoon, Augustus Van Wickle, is open to the public. $26 adult, $18 youth (under 6) includes a fresh baked scone, cucumber sandwiches and other sweets and savories, and of course, an endless pot of tea, served by gracious volunteers. April, Dec. Tues-Fri. 1 p.m. and 3 p.m. sittings. Price of tea also includes entrance to house and gardens. Spa Treatment at Alayne White. 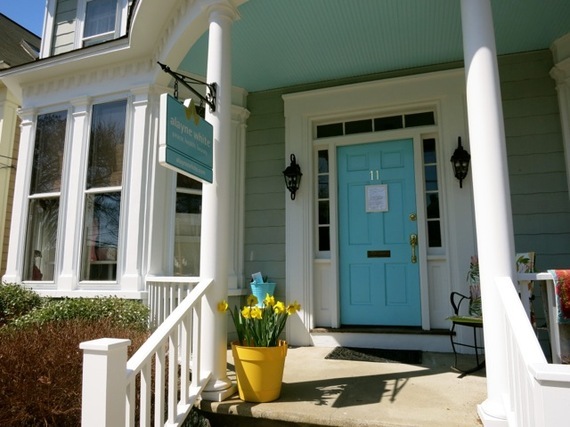 Book a treatment at one of Rhode Island's premier wellness spas and you'll walk in feeling crappy -- and walk out feeling "ahhh." Alayne herself exudes great karma and love of whimsy: toilet seats bear painted images of Wonder Woman, and treatments are aptly named. The two plus hour "Delicious" ($195) melds "The Best Facial You Will Ever Have" with the hot oil "Spassage" -- a double whammy that has the effect of a week on a crystal-clear beach. Bristol brims with independently owned shops run by some of the nicest people you'll ever meet. 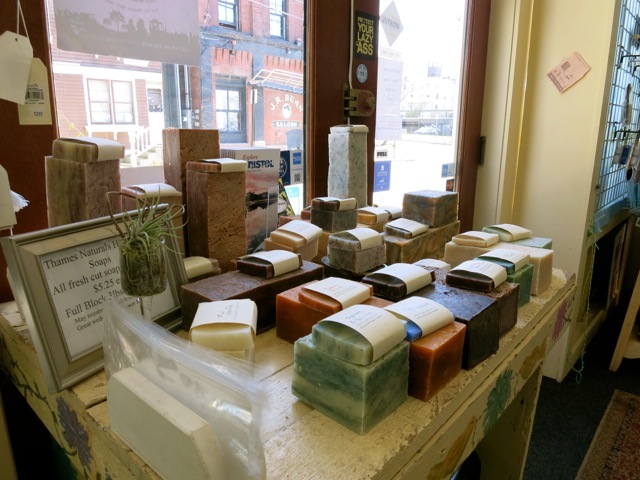 Fast-talking-do-anything-for-ya Lynn Shaw makes her own line of soaps, face tonics and lotions for her shop, Harbor Bath and Body. The Knotty Dog stocks plenty of adorable dog gifts, but also rope jewelry, inspirational signs, tea towels and gorgeously handmade nautical cutting boards. 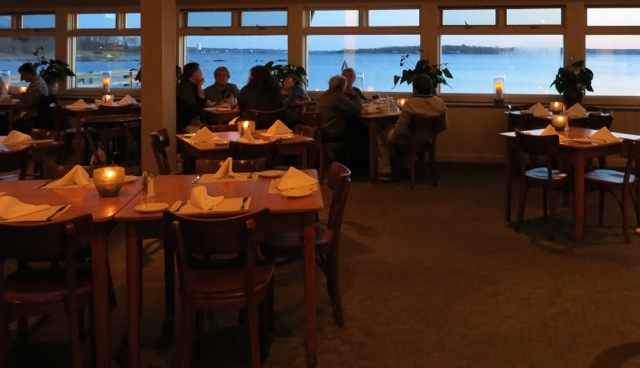 Bristol also has an abundance of fine eateries, and locals are hard pressed to express their favorites. ("Well, what kind of food do you want?") Most conclude that Persimmon is in a class by itself, and after having partaken of some of the elaborately and whimsically conceived tasting menu, I'll heartily concur. 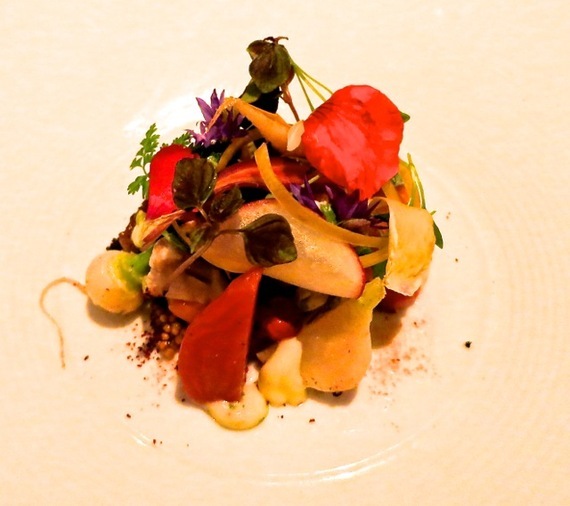 Chef Champe Speidel excels in combining tastes and textures in delightfully playful ways. More of the best include Beehive Café opened in 2007 by Jennifer Cavallaro as a community meeting place coffee shop and is now a very, very popular lunch and sometimes dinner (Thur-Sat) spot as well, The Lobster Pot, established in 1929, and still a magnet for generations of families, Redlefsen's Rotisserie & Grill, known for its Calamari Schnitzel (pounded thin and tenderized), Ultimate Grilled Cheese with Fig Puree on Sourdough, and German beer on tap -- decidedly not your grandpa's German cuisine, Sunset Café, the morning Cheers owned by Maria Lopes, whose specialty is homemade Portuguese chourico, and DeWolf Tavern, once the storage warehouse for George DeWolf's Africa-bound rum, now dishing out good New England chow with Indian influence. 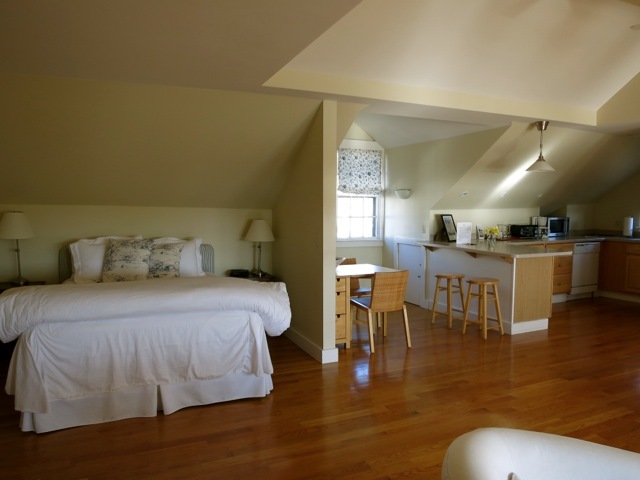 Stay in one of three Bristol Guest Suites, including The Sailor's Loft -- a complete studio apartment above a detached garage. Right in town, it has views of both the harbor and Main Street, and is a study in nautical hardwood floors, muslin seating, fresh white bedding and galley kitchen. All suite are "self-catering" (read: go out for breakfast) and offer no daily housekeeping, but rates are amazing off-season and respectable in. $90/night Nov-March. $175/night April-Oct includes free parking and WiFi. Mount Hope Farm Governor Bradford Inn -- a National Historic site, this non-profit (yes, you read correctly) inn on a 127-acre working farm set right on Narragansett Bay, but outside of town, is a feel-good place to stay. Fine rooms with décor leftover from a recent design show, feature eclectic traditional luxury. A hot gourmet breakfast might be stuffed French toast, frittatas or omelets with mix-ins picked straight from the garden out back. $99-$275 per night depending on room and season includes not gourmet breakfast, WiFi, parking, run of grounds -- plus, all profits go back into running the farm. For more on what to do in Bristol, RI or ideas about other "Offbeat" destinations in the Northeast U.S., consult the Getaway Mavens at www.getawaymavens.com.